We met as coworkers and spent months developing a close friendship, but both felt there was chemistry almost immediately. It was nearly a year until our feelings for each other became apparent and finally we both realized we couldn’t be just friends anymore and have been together ever since. Chris made reservations at a popular restaurant in West-Midtown Atlanta. I was disappointed because when we arrived the restaurant claimed they didn’t confirm our reservation and we wouldn’t be able to get a table for hours. Chris suggested we walk across a bridge to see if we could get a table at a different restaurant and on the way stopped and proposed! We walked into the restaurant Marcel where they had a table waiting for us with champagne to celebrate. He admitted that whole exchange was arranged and the first restaurant was in on his plan. After dinner we walked back across the bridge through the first restaurant. As a final surprise many of our closest friends were there waiting for us to celebrate together. There was a great band (and more champagne), and it was one of the best nights of our lives. Q. Describe your wedding design and style. 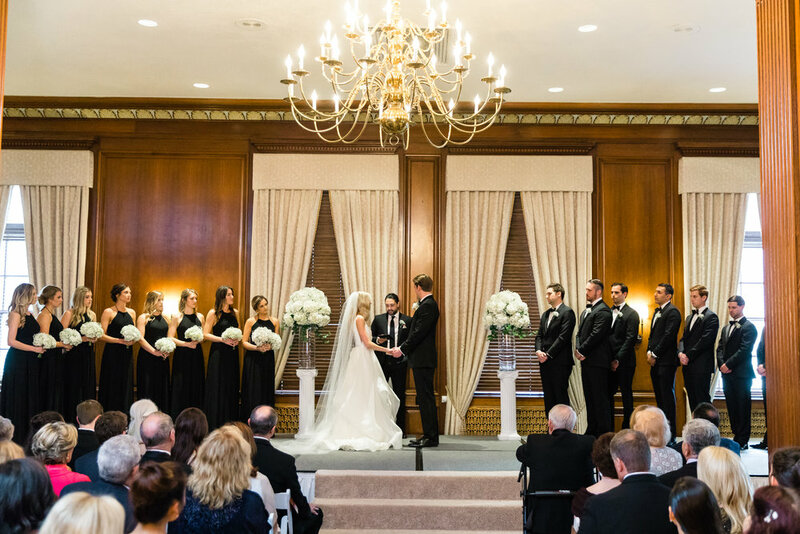 Our venue was an iconic hotel in Memphis, Tennessee known for its elegant design and timeless charm. We would describe our vision for the wedding and reception the same. 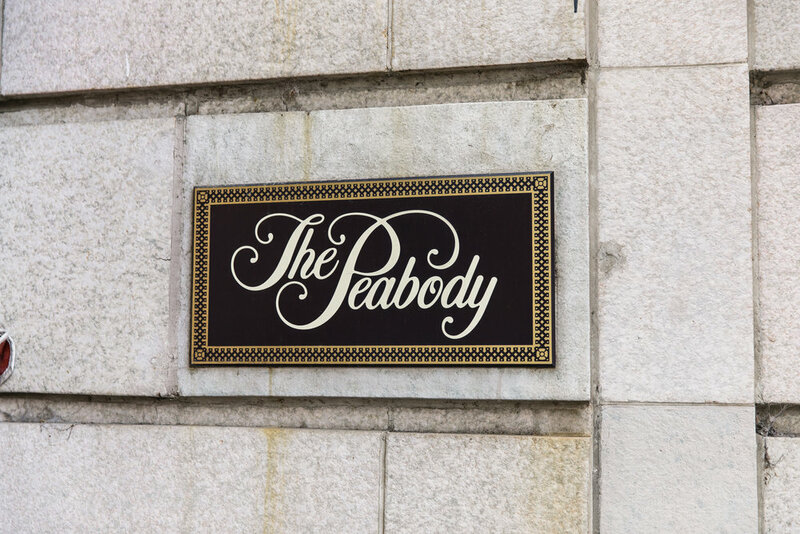 Our goal was to maximize our guests’ entertainment and focus on the experience while complementing The Peabody’s inherent beauty. Q. What is your favorite memory of your wedding day? The whole weekend was so overwhelming and fun that it is difficult to pick something, but the time that stands out the most was the actual ceremony and more specifically, our officiants’ sermon. Our officiant, Chris Romine is a long time friend of ours and had recently graduated seminary. Of all the things we carefully planned, we trusted our officiant Chris with full autonomy over the sermon. Many of our guests never met Chris and no one knew what to expect but he delivered an oration that was so insightful, relevant, and moving. We and our guests were so impressed and the sermon he delivered was a constant topic of conversation. Q. Do you have any budget saving tips or advice for other brides-to-be? We had an 18 month engagement and initially thought that was a long time, but in hindsight it worked really well for us. First, it allowed us to secure our venues and vendors without any conflicts. It also allowed us to save money and more importantly, provided ample time to plan and collaborate with our vendors to get their input and utilize their experience. In the months leading up to the wedding, we were well prepared and there wasn’t much stress. Our friends and families helped us manage that too. Our key advice would be to remain flexible and utilize the resources available to you. We evaluated our suppliers and selected those who were interested in helping and eliminated those who were too rigid. We focused on what was important and that is celebrating with our family and closest friends. Q. What was your biggest worry and how did you overcome it? With picking a date over a year in advance and selecting an outdoor venue for the ceremony, we knew we were going to roll the dice on the weather from the very beginning. 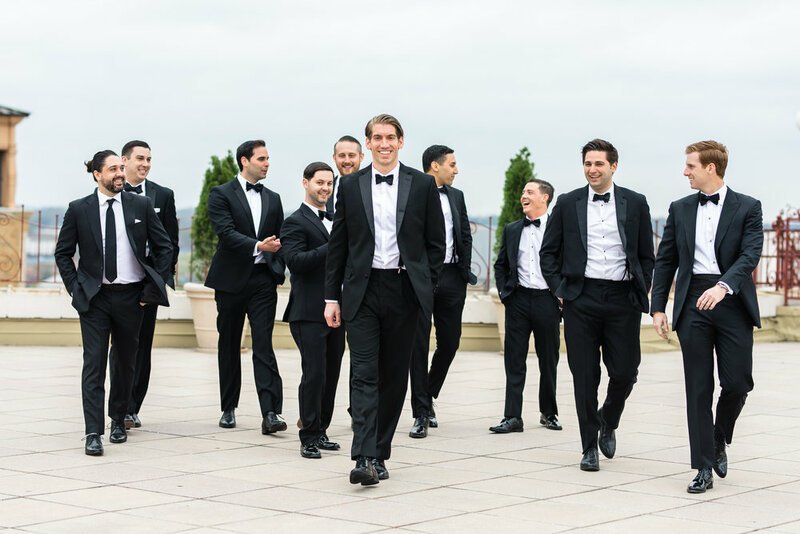 We originally planned for the ceremony to be on the rooftop in the open air. As the date grew closer it became apparent this was going to be a challenge. The day before the wedding the forecast was calling for temperatures in the 40s and high winds. 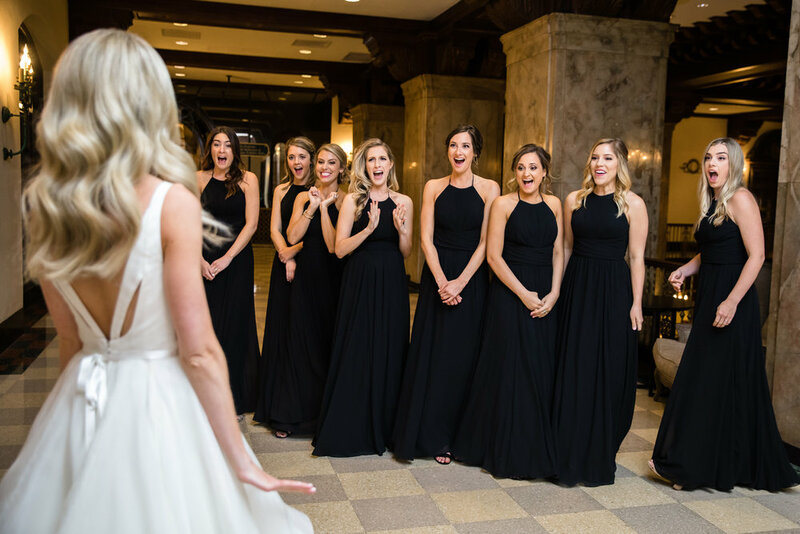 We were beyond fortunate our venue’s coordinator could make last minute arrangements to relocate us to an indoor ballroom. The new room was much smaller making the ceremony much more intimate and romantic. The hotel staff and our guests were so flexible and we were delighted with the end products. The only way to overcome these inevitable challenges is to stay positive and flexible – by the day of the wedding, there is nothing else you can do so you need to enjoy every minute. We did brave the cold for pictures on the rooftop which were stunning.